It embraces SME development, urban transformations, startups ecosystem and education-related initiatives, innovative & business clusters, etc. It is built on effective cooperation principles, including shared responsibility and co-financing to ensure sustainability of transformative initiatives. ProZorro is a new electronic public procurement system that allows state procurement online. It provides a transparent platform for public purchases, which will significantly eliminate the corruption inherent in the procurement process. WNISEF was among the first donors to fund the project. Since August 1, 2016 ProZorro is obligatory for every public institution at central and local level, and has already saved over 18 bln. UAH to the state budget. ProZorro was named the best “electronic procurement system” in the world (2016 World Procurement Awards) and won the first prize at the third annual Open Government Awards 2016 ceremony in Paris. The project aims to build an e-auction for transparent sale of assets owned by the Deposit Guarantee Fund (DGF) in Ukraine (based on ProZorro principles of e-tender). DGF is responsible for sales of assets of 65 insolvent banks. Total insolvent banks assets book value is UAH 447bn. Experts estimate total recovery value is UAH 80-120bn. 1991 Open Data Incubator is a non-commercial incubator that helps activists and IT-developers to create their own startups and services using open government data that will be helpful to citizens, companies, and the government. The incubator is funded by WNISEF and operates with the support of the Cabinet of Ministers of Ukraine, ministries, and international organizations such as Microsoft, Open Knowledge Foundation, Open Data Institute, etc. The project aims to take the massive data produced by Ukraine’s bureaucracy and streamline it for citizen access. Supported by WNISEF and in partnership with Microsoft Ukraine, 1991 hosts groups of programmers from around Ukraine, selected during four hackathons. Hub schools is a project initiated by the Ministry of Finance of Ukraine, the Ministry of Education and Science of Ukraine and with the support of the international donors such as the USAID, Western NIS Enterprise Fund, Caritas, and Microsoft Ukraine. The project aims to enhance the education of children who live and study in rural areas, promoting the development of hub schools as educational and cultural centers that will fully meet the educational needs of children from ungraded, closed or reorganized schools as part of decentralization reform. 24 pilot schools (one per each region in Ukraine) were selected and are being improved: infrastructure, educational equipment, and materials, through donor funding. WNISEF ensures the upgrade of science labs (250,000 USD invested), while reparation of schools is being undertaken by USAID through Save the Children and Caritas. CANactions School for Urban Studies is the first educational program that contributes to quality transformation of Ukrainian cities through the best practices brought by international experts. WNISEF grant focused on theoretical program with practical results based on field trips to pilot cities. DREAMactions – Activate your dream! Small Grants Projects is a joint initiative of CANaction School for Urban Studies and WNISEF to facilitate the practical implementation of urban projects in Ukraine in different directions. As a result of the first program, 7 (out of 263 applications) projects were implemented in different cities. 10 out 512 projects were chosen within the 2nd enrollment. The Small Grants Competition’s main goal is to empower initiative citizens to implement different kinds of urban projects. Projects selected within the Competition aimed to develop socially responsible entrepreneurship; to find environmental solutions; to boost social interaction of citizens and promote their engagement in collective decision-making; to preserve historically valuable elements as well as maintain overall cultural environment; to set up different forms of educational programs – both formal and informal – in the sphere of urbanism; to upgrade infrastructure and adapt it to the needs of citizens; to do local tactical changes within an urban environment. School of Mayors is an innovative educational program aimed to train incumbent mayors and candidates, and their teams to manage cities in the context of decentralization with modern standards of public administration to build their capacity to develop city development strategies and establish effective partnerships with business and NGO. The program includes 8 modules hold by business school and field trip to Poland. Thus, participants are developing city strategies and provide their solutions to address one of the key issues at the local level. Second enrollment was held with the financial support of Western NIS Enterprise Fund. 3 participants from the first enrollment are incumbent mayors of Mykolaiv, Zhytomyr and Boyarka. WNISEF was the main partner and co-organizer of the first International Mayors Congress that took place on December 5, 2016 in Kyiv. The event gathered over 250 participants, international and Ukrainian mayors, and became a major stakeholders’ platform of local development. 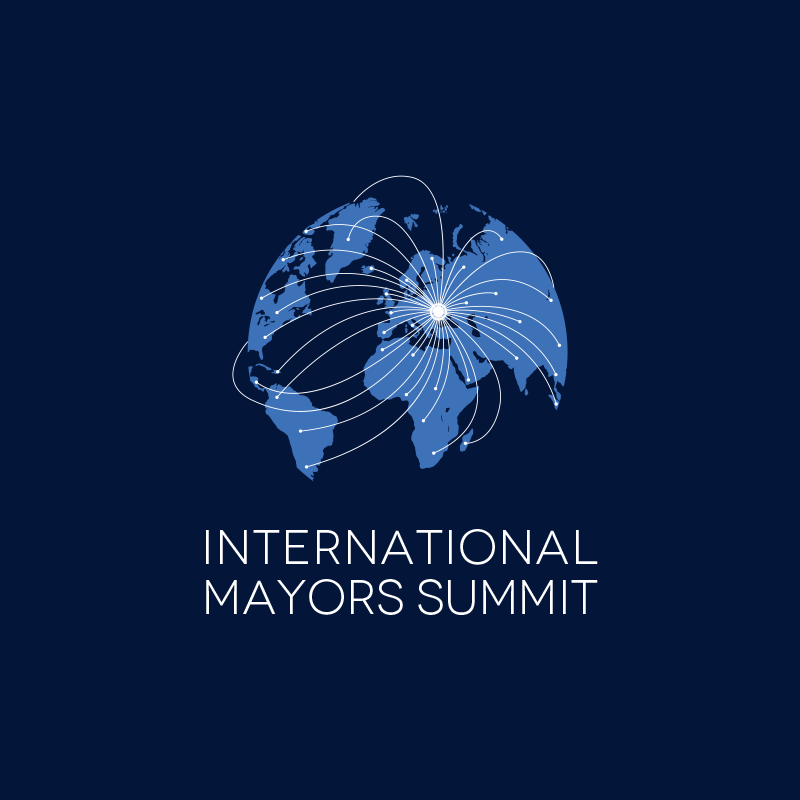 International Mayors Summit is an annual discussion platform, which will bring together mayors from all over Ukraine along with their foreign counterparts, local government leaders and local development experts. The Summit will take place on November 28-29, 2917. The focus of the Summit this year is innovation and technologies that make urban life more comfortable. The Summit is held by the Western NIS Enterprise Fund under the patronage of the Prime Minister of Ukraine and Kyiv City Council. HRH Prince Constantijn van Orange, Startup Envoy for The Netherlands and the founders of the StartupAmsterdam initiative Ruben Nieuwenhuis and Bas Beekman will be the honorable guests of the Summit. Ukrainian cities still have a long way to go to become truly innovative, attractive to investors and most importantly – comfortable for their residents. To ensure this, Ukrainian mayors need to study and adopt best practices from cities around the world. The Congress is only the first step. Sharing experience between Ukrainian mayors is another big opportunity provided by the Congress. Mykolaiv Development Agency was established by Mykolaiv City Council as a nonprofit organization based on communal ownership, subordinated to the Executive Committee of Mykolaiv City Council, and supported by WNISEF. The Agency aims to develop and facilitate the implementation of the city development strategy, provide analytical support for this process, attract off-budget financial and other resources, investments, and establish partnerships with sister cities and donor organizations. It is designed to cooperate effectively with local and central governments in strategic planning and administration of territorial development projects, ensure effective cross-sector cooperation between the local authorities, business and community and create a brand-new city development environment.